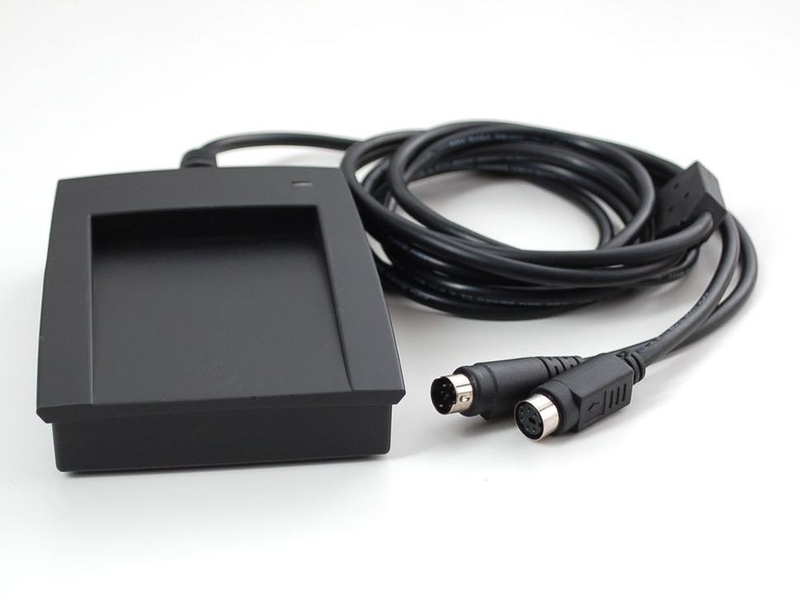 For projects where you just want to use RFID MiFare tags or cards, this nicely packaged RFID reader may be more desirable than our RFID/NFC shield or breakout. 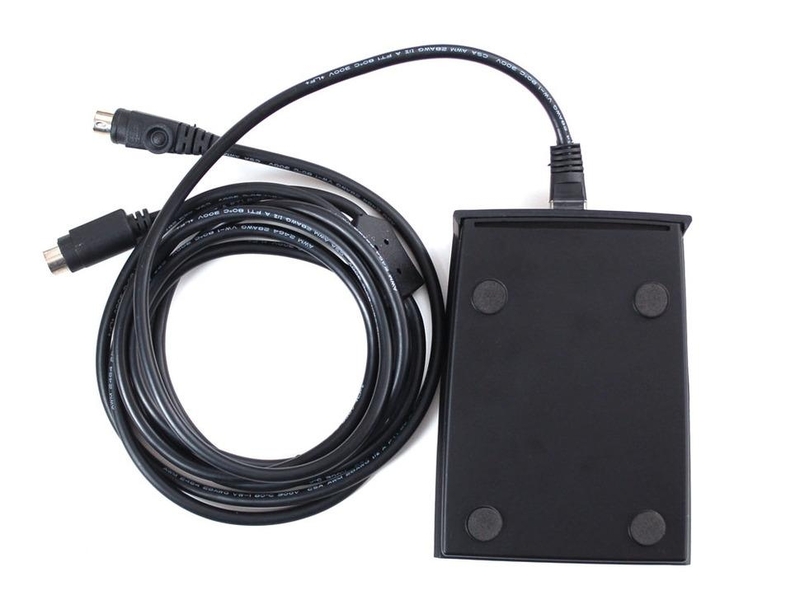 The nice thing about this reader is that its packaged in plastic, has an LED and buzzer to indicate when a card is read, and spits out the 4-byte card ID over the PS/2 cable as if it were a keyboard. It cannot read or write the contents of the card, its only good for reading the permanent 4-byte ID burned into each MiFare classic 13.56 MHz tag. 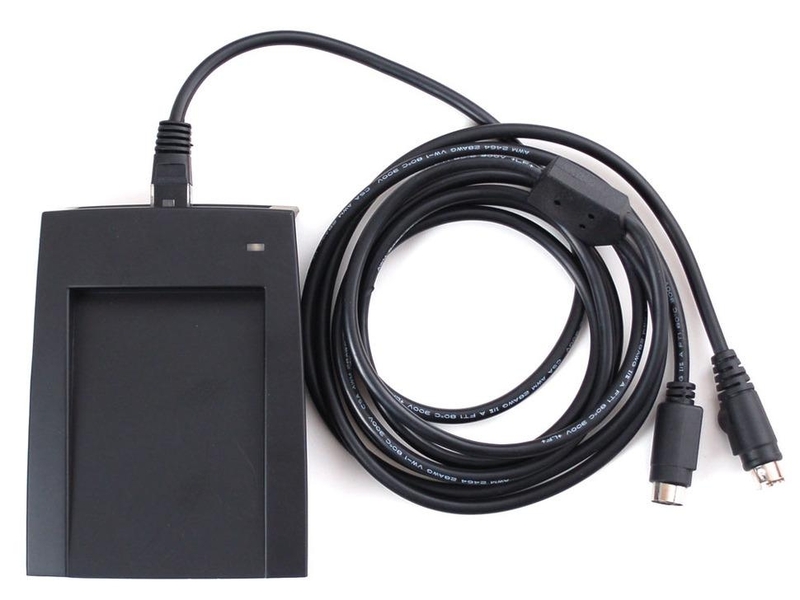 Please remember this reader cannot read or write the EEPROM contents of the card, its only good for reading the permanent 4-byte ID burned into each MiFare tag. This means its good for identifying one card from another, but not for storing data onto the cards. 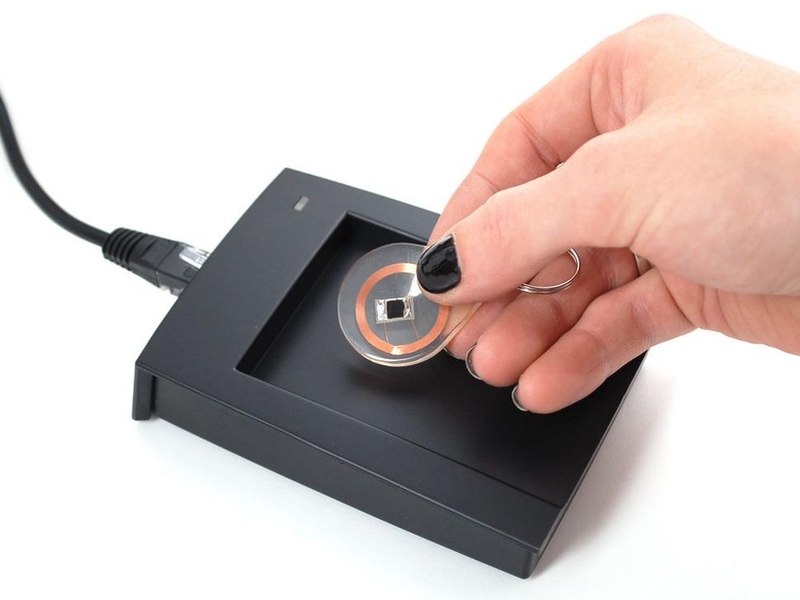 Its also not guaranteed to work with anything other than classic MiFare S50 tags. If you want to read/write to the EEPROM inside the tag, or use other kinds of 13.56 MHz tags check out our PN532 based breakout and shield!